Fast-food made at home! 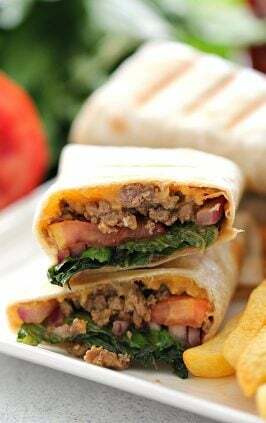 These crispy steak burritos require just a few ingredients but taste like restaurant quality. Ready in just 20 minutes from start to finish, they make the perfect weeknight meal. 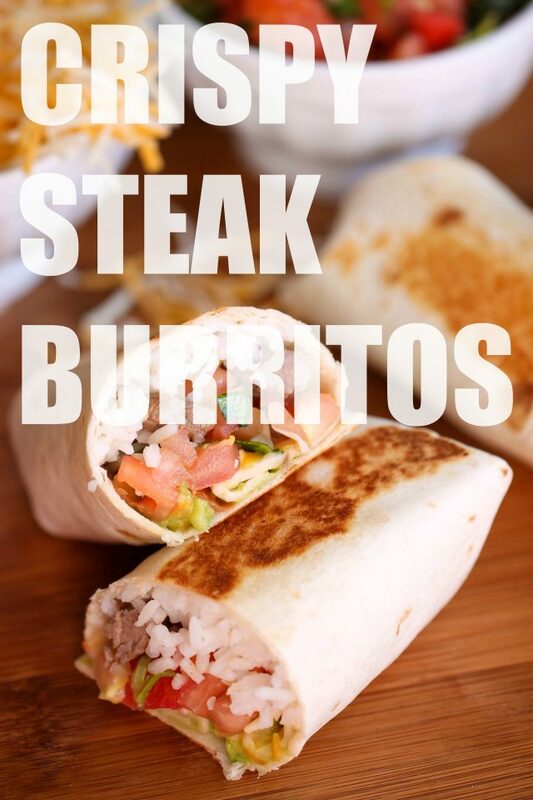 I love a good steak burritos! 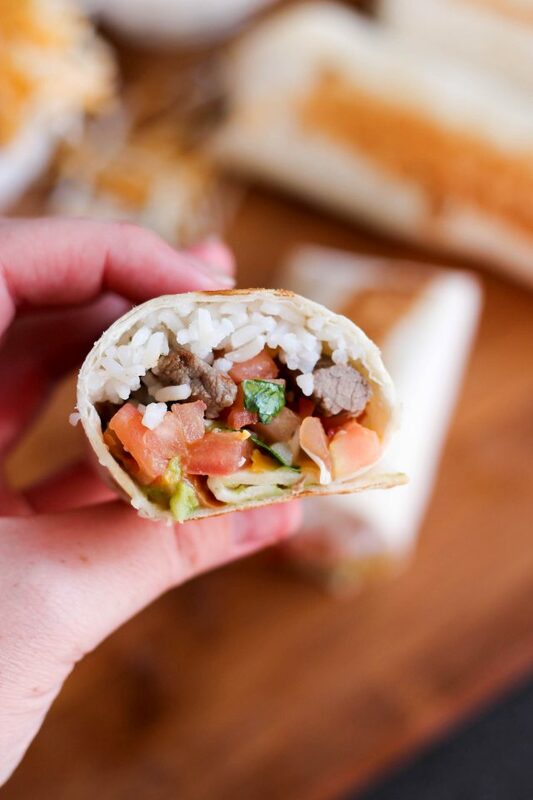 Layers of medium-rare steak, rice, guacamole, pico de gallo, and cheese are perfectly complimentary and even though they’re so simple, they are SO GOOD. 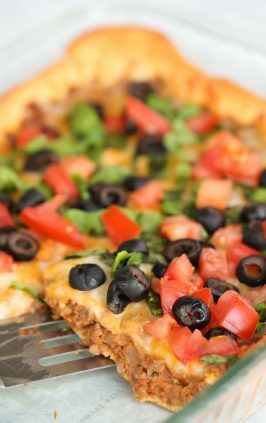 Once you lightly crisp them up on the sides, it adds that much more to the “fast food at home” taste. 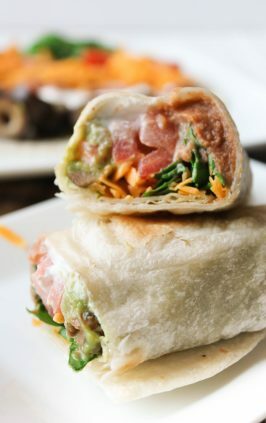 These burritos are ready in less than 20 minutes, and it’s a great recipe to double – so you can feed a bigger family, or you can save the second half and freeze them for busy days. 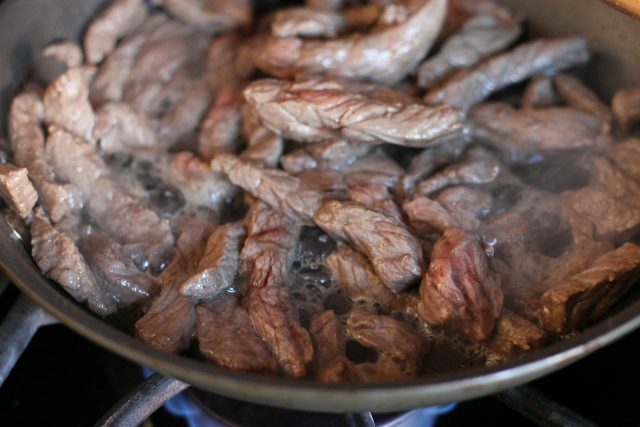 Because the steak is sliced thin (or into bite-size pieces), you can really use any cut of steak you have on hand. I’ve sliced up leftover steak, and I’ve used the “stir-fry” steak pieces they sell at the grocery store. Both worked just fine. Step 1: Season steak with salt and pepper. Step 2: Heat olive oil over medium-high heat, then add steak, and cook until it reaches desired doneness. (I like mine slightly pink in the center, which usually takes about 3-5 minutes depending on how thick I slice my steak). 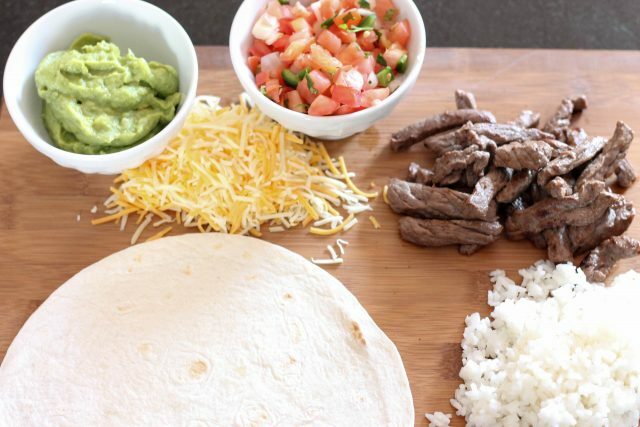 Step 3: Assemble by evenly distributing steak, rice, guacamole, pico, and cheese onto each flour tortilla. Fold up opposite sides, then the bottom, then and roll up entirely to enclose the filling. Step 4: Heat a large non stick skillet over medium-high heat. Step 5: Coat the top and bottom of the burritos with the nonstick cooking spray. Place burritos in the skillet, seam side down. Cook for about 1 minute or until lightly browned and crisp. 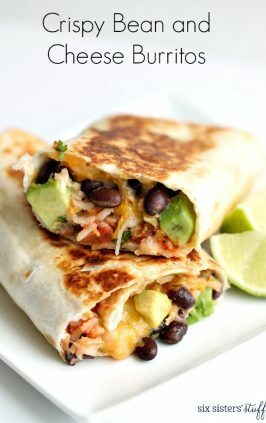 Turn the burritos over and cook another minute until golden brown. Step 6: Serve warm with your favorite sauce for dipping. We love these dipped in salsa, sour cream, or more guacamole. 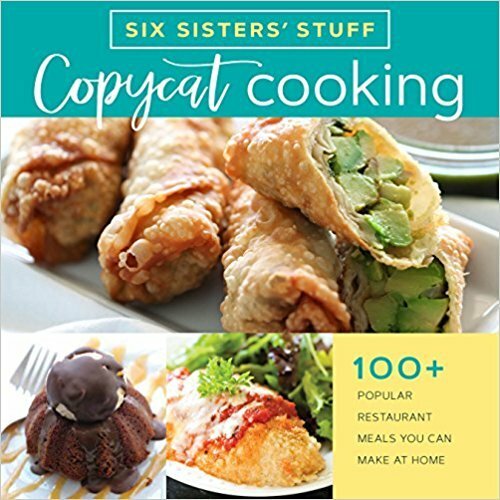 Check out our newest cookbook, Copycat Cooking? 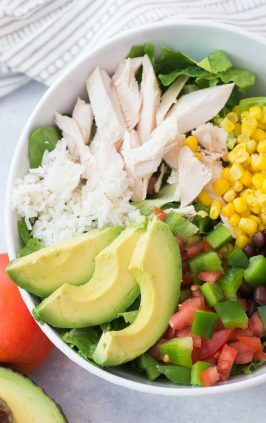 We took over 100 of our favorite restaurant recipes and simplified them so that you can make them right at home! Heat olive oil over medium-high heat, then add steak, and cook until it reaches desired doneness. (I like mine slightly pink in the center, which usually takes about 3-5 minutes depending on how thick I slice my steak). 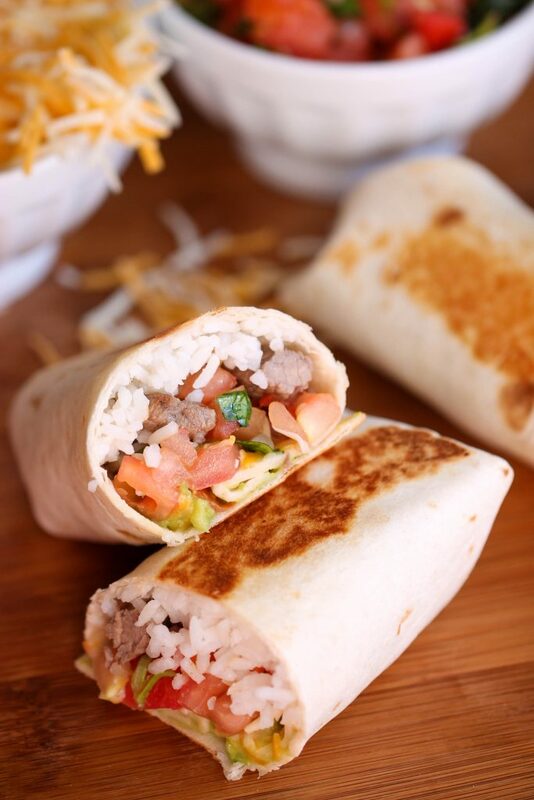 Assemble by evenly distributing steak, rice, guacamole, pico, and cheese onto each flour tortilla. Fold up opposite sides, then the bottom, then and roll up entirely to enclose the filling. Heat a large non stick skillet over medium-high heat. 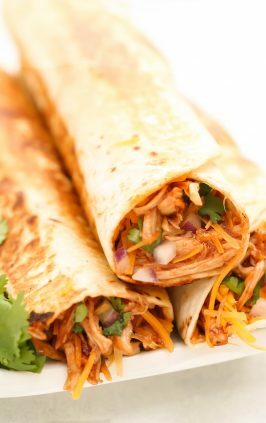 Coat the top and bottom of the burritos with the nonstick cooking spray. Place burritos in the skillet, seam side down. Cook for about 1 minute or until lightly browned and crisp. 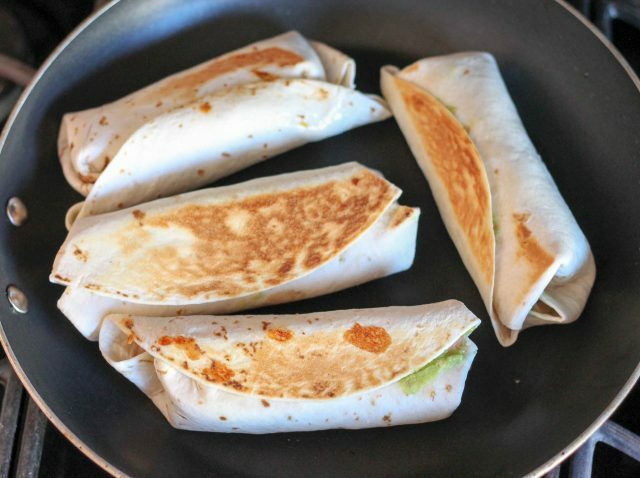 Turn the burritos over and cook another minute until golden brown. 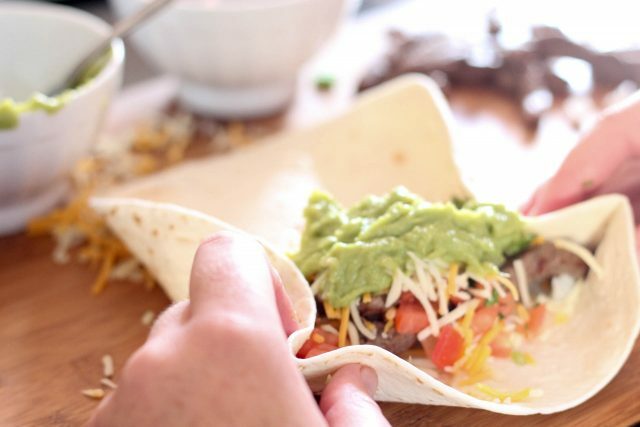 See how to make our Steak Burrito Bowls below.